New to Tennis...so much gear, so confusing - help! For 10 years I've been a golfer, but time for new pastures have decided to get into tennis. I had lessons as a junior and have played occasionally recreational tennis. Looking at the usta self rating I would fit somewhere between a 3.5 and a 4.0 I think. So a mediocre player, with practice (and some much needed fitness) I am sure I could improve. At 45 years old, I cant see my serve speed or racquet speed increasing. I also feel muscle pain in muscles I didn't know I had! Serving hurts when I try and give it too much power. The arm feels tender into the 3rd set of matches too. Hoping this subsides with more play and muscle development. I'm so confused with equipment! I'm playing now with an older model Wilson BLX tour that I bought from a big box store 5-6 years ago which feels ok. The local tennis club is a head dealer, so tries to push heavily into their racquets. I demo'd a Head Extreme touch and found it very light and lacking in power. Not to my liking. I don't know what characteristics and brands I should be looking at. The tennis only demo system looks great, so I will give that a go (once I know where to start). I also understand strings can make a huge difference ( I still have the original strings from the store ). But I don't know where to start! Type, tension etc.. Ive never broken a string in my life if that helps. As a former golf equipment ho, I'm looking to find new and better rackets as this is part of the fun. In short i'd really appreciate any info I could get. Thanks for reading and thanks in advance for any tips and info. I also have demoed from tennis only, 4 racquets for $25 is a no brainer. Theres bazillions of racquets out there but depends whats available to demo, try to get some a different spec, one a bit heavier like 330-340g, couple around 320g mark, one an 18*20 pattern, one stiffer and more powerful like a pure drive/strike (though be wary if you have a tender arm). prince and yonex have rounder grip shapes than wilson so maybe one of them to see if you like that sought of grip shape. When you demo make a note of what you like/dislike about each racquet and what they are strung with, poly or syn gut... syn gut is better for the arm but there are softer polys too. Whatever you do, DONT play with the same strings for the next 5 years! Have your frame re-strung with some decent string at mid tension. Even full softer poly will do. Playing with dead string is not good at all. Maybe that’s all you need to do and you’ll play ok with what you’re used to. Checking out gear can be fun but it can not be fun if you get lost in it too much. If you can demo, do what the gentleman above suggested. Take four frames of very different type and narrow down what works best. Then take another four demo frames similar to what you liked best and so on. 3-4 demo rounds and you should zero in on what you need quite easily. Cheaper than shooting blind. If I may suggest one particular frame it’s Yonex DR98. It’s quite loved by players from all over the racquet spectrum - from light Babolat users to heavy mids swingers. Great all-rounder and comfortable to boot. If you’re not afraid of lead and customization, DR98 light is a great option, too. A lot of tennis is trial and error. More error than anything.lol. You may want to update that racquet, technology has advanced a lot when it comes to how racquets are made. The strings, yeah definitely a HUGE factor! Your arm shouldn’t be toast at the end. Do some research about strings and tension levels. We can make suggestions, but in the end you’re going to have to do what fits you best. Unfortunately you won’t know that until you’ve gone through a few racquets and strong types/tensions. Take advantage of the demo program and maybe stay away from poly strings. BTW I’m 3.5-4.0 and I wouldn’t consider myself mediocre. I've seen a few people recommend a soft poly. DO NOT USE A POLY. You already say your arm hurts and you don't see your racquet head speed getting faster, so poly is definitely NOT FOR YOU, even the "soft" stuff. First step would be to get your racquet restrung and see how it feels. Try a multifilament. They are very soft and will give you extra power. String it at the mid-range. If you don't have a problem breaking strings, don't worry about the price of the strings. If you start breaking them more often, then you can look for something a little cheaper, maybe more durable, like a synthetic gut, but until then go with a multifilament. If you want really nice strings you could even go for natural gut; Babolat, Luxilon, Pacific, and Klip all make good gut, but that'll get more expensive than the multi, along with being softer and more powerful than the multi. For racquets, I would demo some 100-ish square inch head size racquets. Maybe the Head Radical from your club, then you can experiment with other brands from tennis only. Yonex DR was already mentioned and is a good option. It's a good idea to get a little bit of a variety. If you want arm-friendly racquets, stay away from Babolat. I'd look at Prince as well; I haven't used any of their new frames personally but I've heard a lot of good things. Yeah I would say 100 sq in head, with synthetic gut... around 11 oz. I was in a similar situation as you some 7 yrs ago. Equipment ho, golfer getting back into tennis after a 20+ years hiatus. If you're ho'ing with golf, chances are you'll do the same with tennis. After many many racquets and strings trials, it's been fun and informational but expensive. Here are some tips to help you hopefully get to the end faster and cheaper. At your age now, a healthy shoulder, arm, elbow will be your #1 priority as it's definitely mine now. You'll progress and your equipment preference will change as you learn more about your game and what suits you. Don't commit to a racquet thinking you've found the "one". I've done this numerous time which is costly as I'd get multiples of the racquet that I end up selling. Arm friendly racquets only, do your research! Mod as necessary to find your spec. Best to start with 1 stick each of various head sizes and string patterns and play with those for a year at least trying different string combos. You'll figure out what works for you. Consider this as a long term demo basically. For me, I've ended up settling down to a somewhat thin beam 98 head size with a tight string pattern over time. Thin beam allowed for better RHS and spin generation even with an 18x20 pattern which also offered better control. Try natural gut/poly hybrid right away. It's expensive but I consider it cheap in the long run due to its durable and consistent playability. It will save your arm and make most racquets more forgiving. Stay clear of poly. If you have to, do your research for a soft arm friendly one which are few and far in between. Head Hawk Touch 17 is the only one I dare play with right now. I'm trying to undo my poly addiction which has done a bit of harm to my elbow, hopefully not permanent. Start doing all the preventative eccentric exercises and stretches to protect your arm now. It's a good habit to have to play painfree. Bad serving technique can cause really painful golfers' elbow as I've learned. Learn to do it properly through pro instructions or youtube. You'll be amazed how you can effortlessly generate power with proper technique. This will take you years to figure out but it's so important to one's game. I really like head speed pro if your club will let you try one out. I’m with the consensus that you’re probably not a 4.0 but who knows. YouTube 4.0 match play and you’ll see these guys are pretty good at tennis. Even if your strokes look like a 3.5 match, you probably won't play like one in a real match. NTRP and utr is about winning, not about strokes. I second this. This is the only situation where I would recommend going with poly; put natural gut in the mains, and a smooth, round, soft poly in the crosses. No textured, no shaped, and look for soft reviews. This is a great setup and will cut down the costs slightly from going full gut. It will lower the power a little of the gut if that's what you're looking for as well. Get the gut strung mid-upper range, get the poly strung roughly 5 pounds or so lower. Can't really help you with equipment. My best advice is go hit with a pro, aka schedule a lesson. The pro should be able to tell you what level to self-rate at and also offer insight into any form correction that may be needed. Now, you may have to ask for the last part, but absolutely do ask. Better to fix things now than later down the road. Also remember that just like golf, as your tennis game changes so will your equipment preferences. Prince Graphite Classic 107 / POG with synthetic gut and you’re golden. Joly's racquet guide is really good. If you don't have time to read all that, my basic recommendation is a 97-102" racquet around 11-11.4 oz strung and 4 points or so headlight, stiffness under 67 ra and 16x19 pattern. demo these and get 2 of the one you like the best. string them with a 16G multifilament such as Technifibre NRG2, Technifibre Multifeel, Wilson NXT, Laserfibre Supreme 2.0 or Laser 1200 and use tension 2lbs above the recommended mid-point. These are all good point and shot rackets that are good for 3.0 all the way through pro level. As someone mentioned above I would stay away from poly for now. Tennis CJC, thanks so much for your help. I demo'd the Yonex Ezone 100 300g and freaking loved it! So easy to hit and so forgiving. Plenty of power. 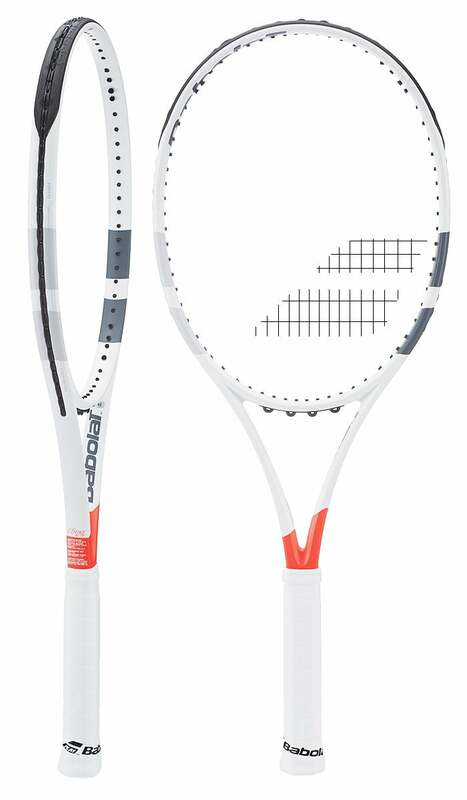 I've just now ordered one with Babolat Xcel 1.30/16G Strings tensioned at 55. Really looking forward to getting it! You are right! With more matches under my belt and thought, I'm definitely NOT a 4.0! I like these choices. By the way, as a relative beginner, there’s zero chance that you’re a 3.5 or 4.0 player. In terms of racquet head speed, with proper technique, it will get faster with less effort. If you can afford it, find a good pro. Having someone with a good eye help you understand and develop your game is a great investment - and hopefully, fun! Good luck. 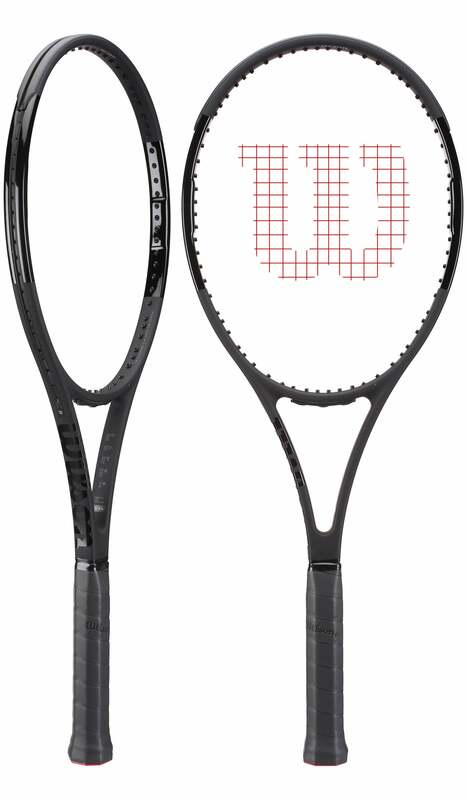 Should try the New Wilson Federer rackets. RF one and also the prostaff one which is little bit lighter. the are both very solid rackets which you might like if you like the BLX tour. Try the Wilson NXT string, I know several college guys use it and they love it surprisingly. but if you want to try the Poly, Try the Babolat RPM blast rough, very nice new poly. Or you could hybrid these two and see if you like that. Tensionwise, use 53-55 lbs. If you have any interest in the Babolat who makes the best rackets in the world today. this is the BEST racket they make and may fit your game nicely. ^^all of the opinion above is just that, an opinion. My opinion is that the rf97a would be ridiculously heavy for you and the prostaff wouldn't be much better. The pure strike is a little stiff, you might be able to get away with it but why risk it? Just so you understand, NOTHING significant changed with racket tech in the last decade (or even two). You can get a different racket, but that would also be the case if your racket was the latest model you bought yesterday. If you do want to try a different racket I know many people that were in the same situation as you and end up settling on Yonex DR98 - it's got a nice blend of comfort and stable, spinny performance. On strings, the best comfort-performance setup is natural gut mains with poly cross hybrid. It's pricey but maximizes comfort/feel/touch while still providing solid spin. Your arm is sore. Get a Pro Kennex 5 series. Don’t be a ho. Instead of wasting money on equipment, pay for lessons. It’s not the equipment, it’s the player. You’ll get more bang for your buck and enjoy the game more. Just like there’s no magical driver, shaft, or putter; there’s no magical racquet or strings. I would even say tennis is less equipment oriented than golf. This comes from a 4.5 player who was a 2-handicap before leaving golf; I can still slap it around near par at most courses. Glad to see you've joined team Yonex. Welcome to the club. I’ve demoed my share of racquets and each differs from the next. So many great racquets out there. My favorite right now is the prince 100P. I fell in love with the Yonex Ezone DR 98 Plus last summer when I demo'ed the frame and made it my choice of racquet. However I don't understand all of the people on the thread saying that he should choose the DR 98, as it's been discontinued by Yonex. It will be increasingly difficult to find brand new and has already been taken off the website from TW and the other big tennis racquet retailers in the US. Getting oriented in the racquets world is not easy. Basically in my opinion what you need to know is that today's frames are quite similar to each other. In the 1990 for example you could buy head size 85 or head size 110, flex 50 or flex 70, very light head heavy frames of very heavy frames balanced in the handle. Nowdays the differences are smaller. Technology updates in my opinion are just marketing. So don't bother with that. Your playing style defines the frame you need, but also the frame you play will slowly shape your playing style. The weight of the frame is less relevant than most people think. What's relevant is the overall manuvrability witch is influenced much by swingweight, twistweight, balance and in my opinion also flex. Frames with higher swingweight, higher weight, and smaller head size usually have a better feel, but that doesn't mean they make you play better in match situations. You'll need to find a compromise between good feel and effective help. The frame you start playing with will give you a sort of "imprinting", probably after you'll search for similar feel. That's why some people like flexy heavy frames and some like stiff light frames. It's a matter of personal preference. SWINGWEIGHT: go with something between 315 and 325 swingweight strung. It's the best range. Higher is even better but you need to move well to use it. Try Babolat Pure Drive 300 gr to know how a good stiff forgiving twiner plays. Try Babolat Pure Strike 98 305 gr. 16x19 (or Blade, or Pro Staff 97, or Speed Pro, they're all equivalent) to know how a more technical modern frame plays. Try Prince Textreme Tour 100P to know how a frame with more flex plays. Try Ezone 100 285 grams to know how a light frame plays. Try ProStaff 97 RF to know how a heavy semi-traditional player frame plays. STRINGS: poly mains (6lbs below mid-tension) / syntetic gut crosses (same tension is ok). Avoid full poly. Keep in mind that strings are as important as the frame, so before changing 37 frames play with strings, ask questions, test.